Realize the power of a best-in-class, fully integrated software and hardware stack for your data protection needs. Micro Focus® Data Protector and award winning Hewlett Packard Enterprise (HPE) Storage continue the deep integration that was a hallmark of the products when they were both within one company. 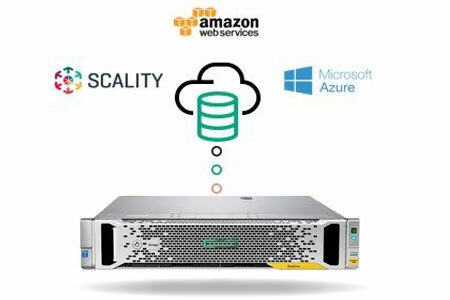 Offering best-in-class integrations with primary storage in HPE 3 PAR, HPE Nimble and HPE SimpliVity while utilizing the functionality of HPE StoreOnce and HPE StoreEver data protection storage platforms. Combine the latest technology to create a unified, optimized, data protection solution for diverse, dynamic and distributed enterprises. The strategic alliance between Hewlett Packard Enterprise and Micro Focus keeps the development, integration and value of their solutions going strong and simplifies your business engagement. Deeply integrated with the full HPE Storage portfolio, Data Protector is tested and certified with the latest platforms. Customers can trust these solutions for full data storage and backup protection. Offload and enhance backup operations across the full HPE storage range. Certification, deep integration and consolidated management reduce complexity and slash costs of protecting critical business data. Maintain optimum performance by offloading backup operations from HPE 3PAR all flash primary storage for high availability. 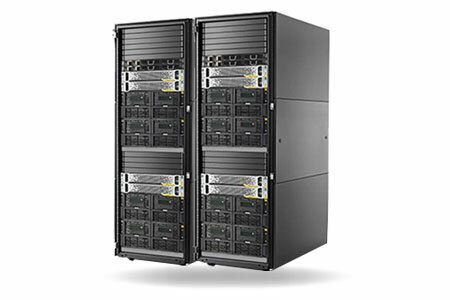 Scalable from terabytes to petabytes to host mission critical applications. Federated deduplication, encryption, enhanced security, and management integration with Recovery Manager Central provide storage cost savings, network bandwidth reduction and secure data backup. Data Protector has out-of-the-box support for HPE Cloud Bank Storage enabling quick, simple and optimized integration. No need for plug-ins or appliances. Seamlessly transfer data between on premise and the cloud. 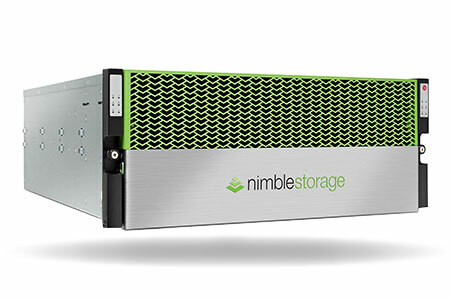 HPE Nimble storage leverages flash storage and predictive analytics for high availability. Maintain performance by offloading backup to disc, tape or cloud and achieve low RPO and RTO. Certified with HPE SimpliVity hyperconverged storage your data is safe knowing Data Protector has been tested with the next generation of storage. Augment backup to tape, disc and cloud. We use Data Protector to back up our remote office's data stored on the tape and our production environment on to 3 PAR storage. … I have always recommended Data Protector to my peers in other organizations. Data Protector is simply the best in all aspects of backup and recovery process. BROCHURE: Hybrid cloud storage is being increasingly adopted which increases the potential for data vulnerability. 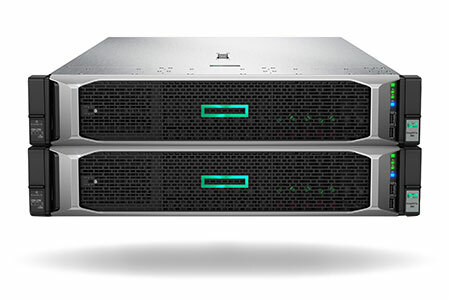 HPE storage platforms with Data Protector provide simple, reliable solutions. BROCHURE: Meet the most demanding RPO/RTO requirements and preserve the storage array performance by offloading backup operations. BROCHURE: Data Protector is certified for SAP HANA environments. Read how to manage and protect your mission critical environment with the HPE and Data Protector solution for SAP HANA. CASE STUDY: Implementing a single backup solution Telenor Group reduced storage, increased productivity and now saves time. It can also identify problems faster with backup analytics. CASE STUDY: By combining HPE 3PAR and HPE StoreOnce storage with Micro Focus Data Protector Nebraska Medical unified and enhanced its backup operations. BROCHURE: Simplify and consolidate IT ops with the highly integrated HPE SimpliVity Hyperconverged Flash Storage and Data Protector solutions. WHITEPAPER: A deeper look at the data protection and enhanced business continuity functionality which can be achieved by incorporating Micro Focus Data Protector with HPE SimpliVity hyperconverged platforms.